the I1 Championships to be named Open Advanced Champions of Alberta. Memorial Trophy. She scored an overall 8.16, with 8's and 9's on almost all scores! 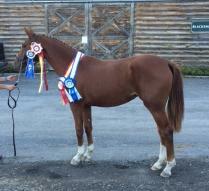 Young Horse Champion at all shows she attended. 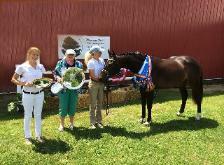 Champion at Carbery Fields Dressage Sport Horse Show. 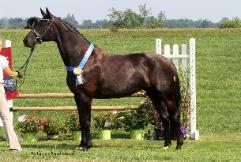 young horse, third in Grand Championships, highest scoring Hanoverian of the show. 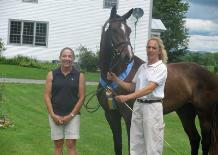 in America" award for the highest scoring horse of her age group. 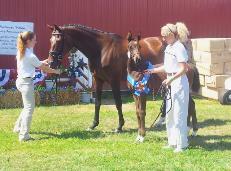 Hanoverian Society 2 yr old National Champion and NEDA 2 yr old Regional Champion. 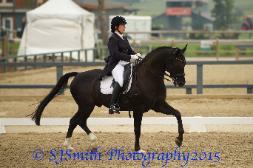 She also won her very first GRAND PRIX with a score of 64.9% (in the pouring rain)!! We are so proud of the partnership of Joy and Wixen. started I-1 with a score of 64.7%. mare) scored up to 67% at PSG. 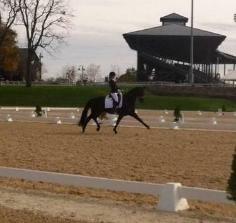 Samara (Samarant/EM Davoness) won her first FEI 5 yr old test with an 8.0! score of 7.88 and finished overall 12th in the country. 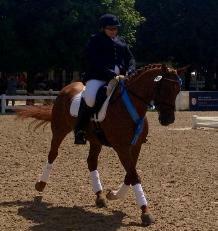 Hanoverian champion with an 86.7%. Highest scoring horse of the whole show! 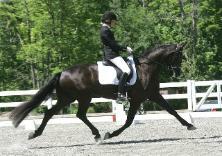 Wixen FH - 69% at PSG and High Score Open FEI for the show. 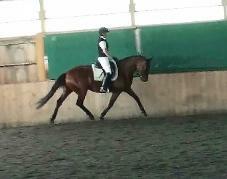 Solex - 70.6% at First Level and High Score Hanoverian for the show. 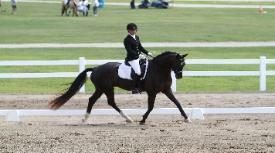 was Third for Region 9 at the USDF Championships. level with a score of 65%. 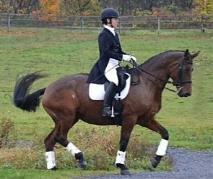 Dressage Association year end AA high score for 2nd level. 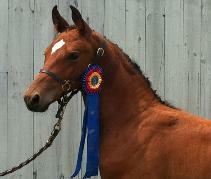 scores up to 72% and was Open 4th level high point at all shows. (with a 73+% - more than 4 points higher than the second place). was Adult Amateur high score champion with a 71%. 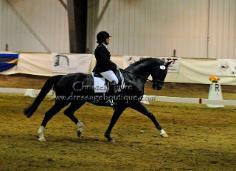 also won the FEI 5 YR OLD Preliminary test. 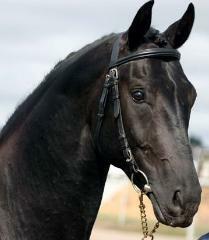 the second highest scoring mare in the country. with a 9 on her trot. 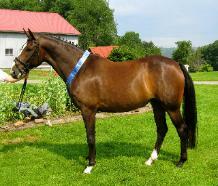 She was the second highest scoring mare in the country. for the whole show Sat. injury). He was training level champion with scores ranging from 72-76%. her 3rd level tests, with scores up to 73%, and was Reserve High Score for 3rd level. Elite Eligible - D'lorienne (Diamond Hit/LeSandra). 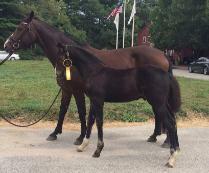 Sovereign Hit (Sandro Hit/EM Del Amika) is now a licensed stallion!!! champion for first level all 3 days of the show!! was first level high score champion one of the days! 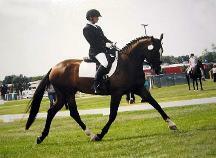 with her owner Joy Congdon in the open division! USDF Final awards standings: Sangrita - 7th place - yearling fillies.